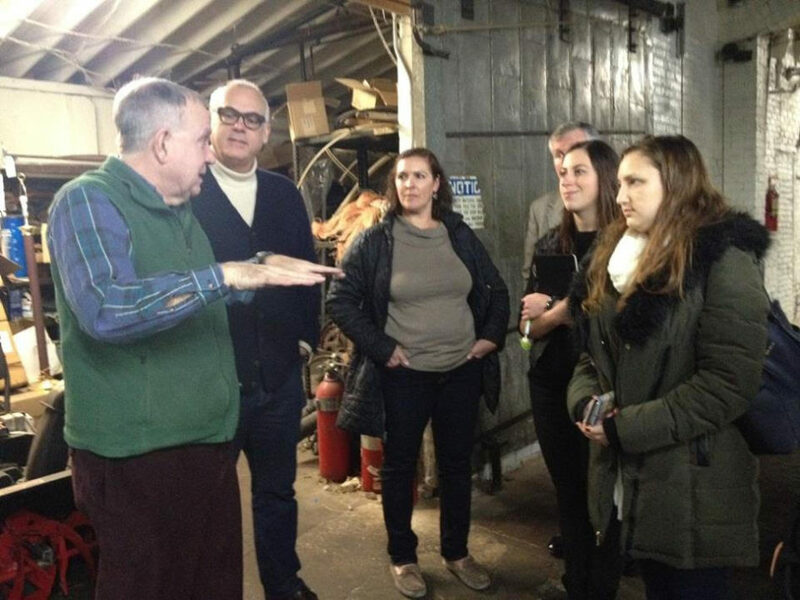 On Friday, December 16, Langhorne Carpets welcomed Gacek Design Group for a tour of our historic Penndel mill. 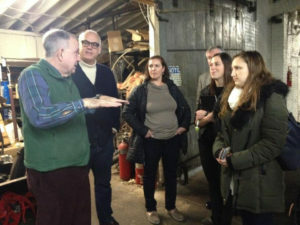 Langhorne’s own Bill Morrow led the group around our facility, from the Jacquard room to finishing, past narrow and broad looms, and through our design archives. 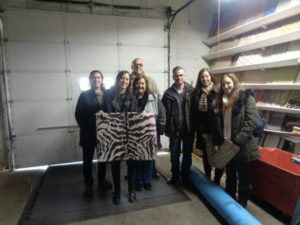 We were delighted the talented firm from New Hope, PA chose to spend their valuable time visiting us. The reason for their visit? for their timeless and classic designs for both private and commercial clients. Their portfolio of work spans historic residences, modern farmhouses, traditional apartments, elegant beach houses and classic mountain retreats. They view Langhorne as a natural choice for their work.